This unique book provides readers with an understanding of the TMS320C66xx SoC as well as its constraints. It offers critical analysis of each element, which not only broadens their knowledge of the subject, but aids them in gaining a better understanding of how these elements work so well together. 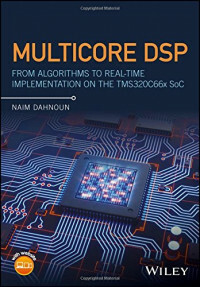 With no other book on the market offering any coverage at all on the subject and its rich content with twenty chapters, Multicore DSP: From Algorithms to Real-time Implementation on the TMS320C66x SoC is a rare and much-needed source of information for undergraduates and postgraduates in the field that allows them to make real-time applications work in a relatively short period of time. It is also incredibly beneficial to hardware and software engineers involved in programming real-time embedded systems.